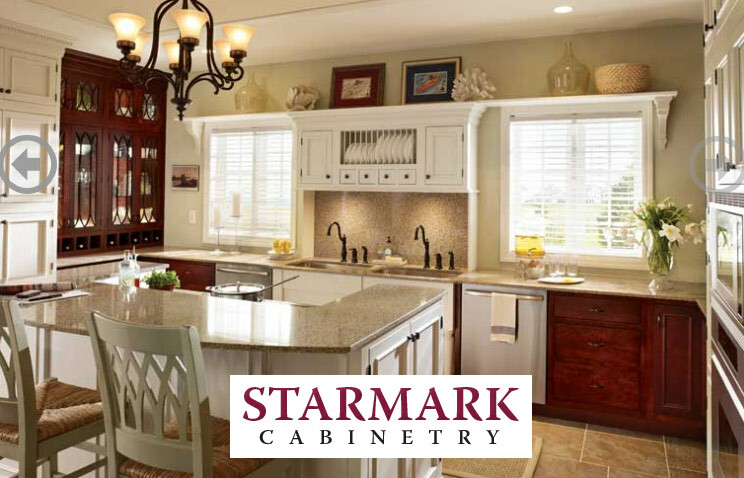 • Your StarMark Cabinetry will last your lifetime. It won’t need to be replaced after ten years. • Our custom cabinetry arrives to your home assembled, saving precious dollars on installation and giving you unparalleled fit and finish. • StarMark Cabinetry is built in 1/16 inch increments, so you can use every inch of space in the room. • And did we mention they are made in the U.S.A…. 2) ULTRACRAFT CABINETRY. 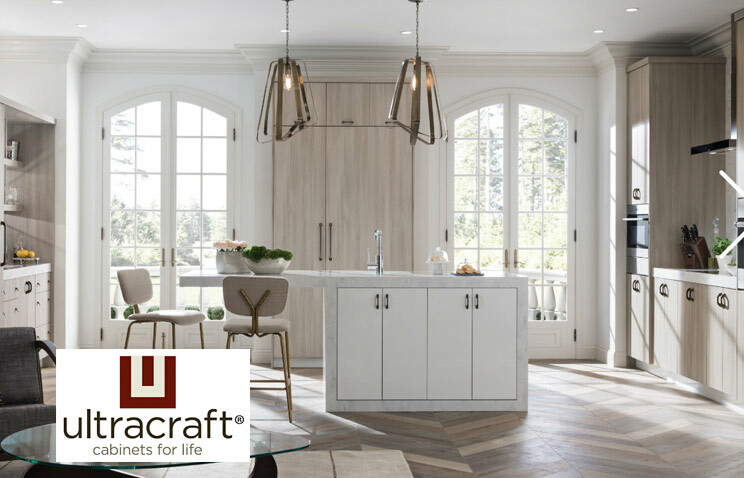 Ultracraft Cabinetry is a manufacturer that focuses solely on full overlay, full access cabinetry. They are experts in providing you with the look and feel that you desire. Since their cabinetry offers up to 15% more usable space than manufacturers that rely on framed construction, you’ll be able to fit more items into your existing footprint. And, because they continually seek out and add the latest in ergonomic and functional hardware as well as the latest organizational accessories, you can rest assured that your kitchen will be as functional as it is beautiful. 3) ARISTOCRATIC CABINETS. 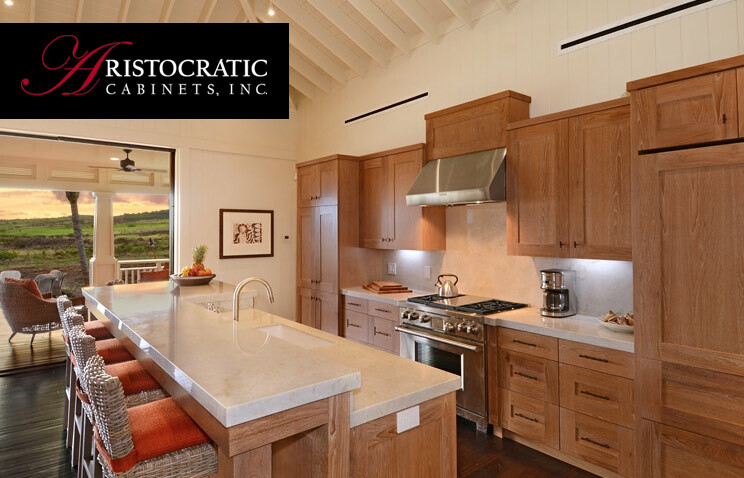 Aristocratic Cabinets specializes in manufacturing the highest quality cabinetry, offering cabinets with discerning appeal and handcrafted quality that lasts for generations. You will notice the distinct difference as you run your hand across the finish, open and close a door, or slide out a drawer. 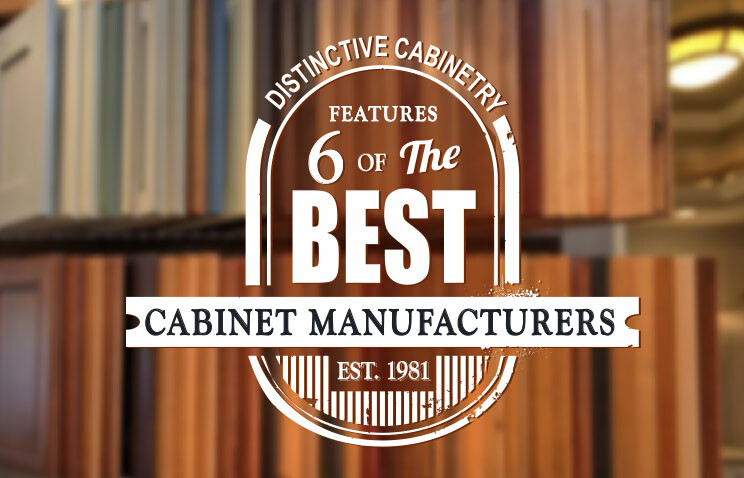 They manufacture all cabinets for full access, using 3/4″ plywood or 3/4″ particle board with thermally fused melamine, dowel construction, and the finest European and domestic hardware available. Aristocratic Cabinets offer a wide selection of door styles in hand selected domestic and exotic woods, quality high-pressure laminates, thermofoils, and flawlessly painted finishes. 4) PLATO WOODWORK CABINETS. 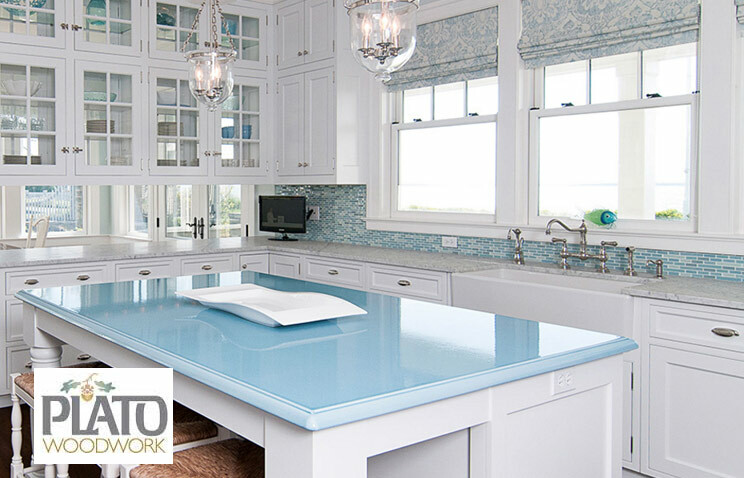 Since 1893, Plato Woodwork has earned its reputation as one of America’s finest custom cabinetry manufacturers and fashion leaders. The master craftsmen of the Pinske family have owned and actively managed their thriving company in the small Midwestern community of Plato, Minnesota for five generations. Over a century later, Plato still builds every cabinet as a true original. Designed, built and finished to your specifications and our exacting standards, we use a deft blend of state-of-the art technology and old-fashioned hands on craftsmanship to produce American made heirloom quality cabinetry for your home. Just as importantly, we are committed to using domestic sources for our materials whenever possible. Though cheaper materials may be available, we feel that if you really want to say your product is ”Made in the USA” there should be more to it than just assembling the product in America. 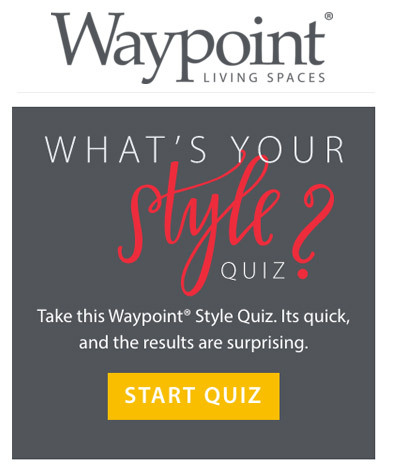 5) WAYPOINT LIVING SPACES. Real beauty in a kitchen cabinet is not only about the way it looks, but also about the way it lasts. Your cabinetry should look and function for many years to come as well as it does the day it’s installed. 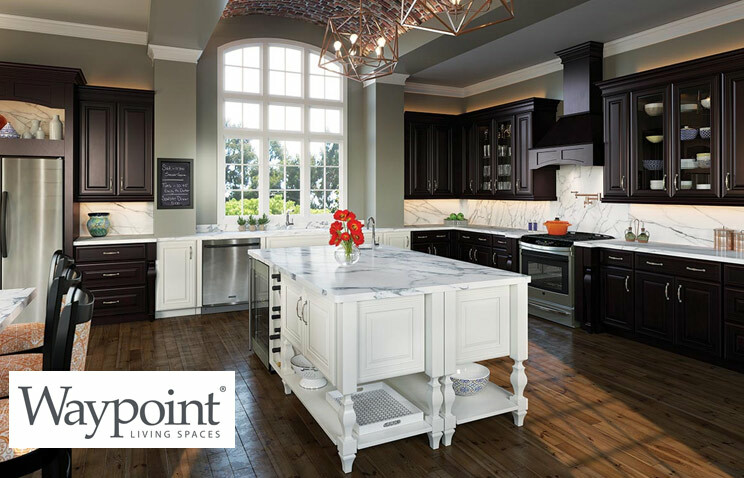 Waypoint® cabinetry is built to last and steps are taken throughout the manufacturing process to ensure that it does. Every Waypoint® cabinet is built with American pride and craftsmanship using the finest materials available. Cabinet joints are pressure­‑fitted, glued, stapled, double­‑doweled construction. Kiln­‑dried face frames made with 3/4­‑inch by 1 5/8­‑inch solid hardwood will not warp. With Waypoint® cabinetry, you can get augmented cabinet storage space with cabinet depths up to 24 inches in one­‑inch increments for the perfect look and fit. Count on Waypoint’s 5/8­‑inch solid dovetail drawer construction with plywood bottoms that exceed all load standards, and choose optional furniture ends to provide a finished look to the visible sides of cabinets. 6) CANYON CREEK CABINET COMPANY. 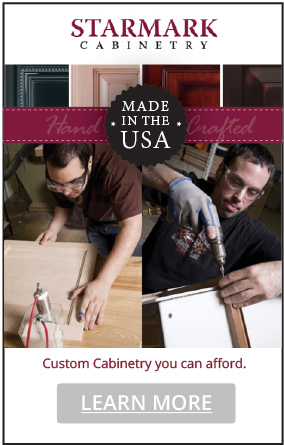 Canyon Creek manufactures affordable, quality cabinets at a facility in Monroe, WA. 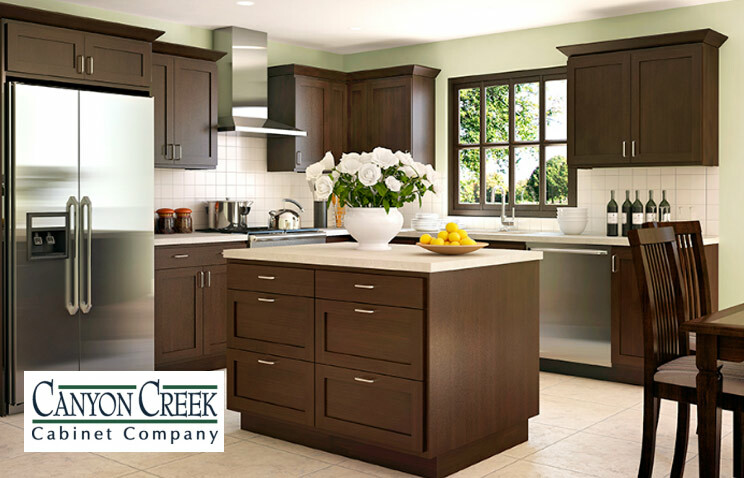 At Canyon Creek, they believe quality is an essential element in kitchen cabinet construction, finishes and enhancements. Their warranty reflects their strong commitment to quality and formalizes our promise of customer satisfaction, today and in the years to come. Distinctive Cabinetry has been helping San Francisco East Bay clients with kitchen remodeling for 30+ years. Our kitchen designers are experts at maximizing cabinet space and members of the NKBA. They have the knowledge and experience to work within your budget and space, giving you exactly what you want. Click the button below if you need help with a kitchen remodel. Yes, I need Kitchen Remodel Help.